Because the most popular holiday in February is Valentine’s Day, most people tend to think of the month as a time to celebrate what you love. 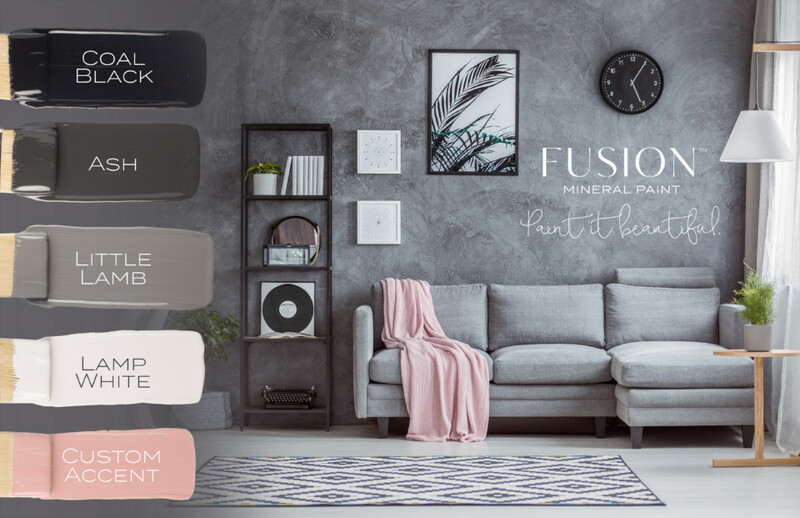 So in the spirit of this, for February’s Color Story from Fusion Mineral Paint, we wanted to give you a palette that you can use to feature a color – any color – that you personally LOVE! 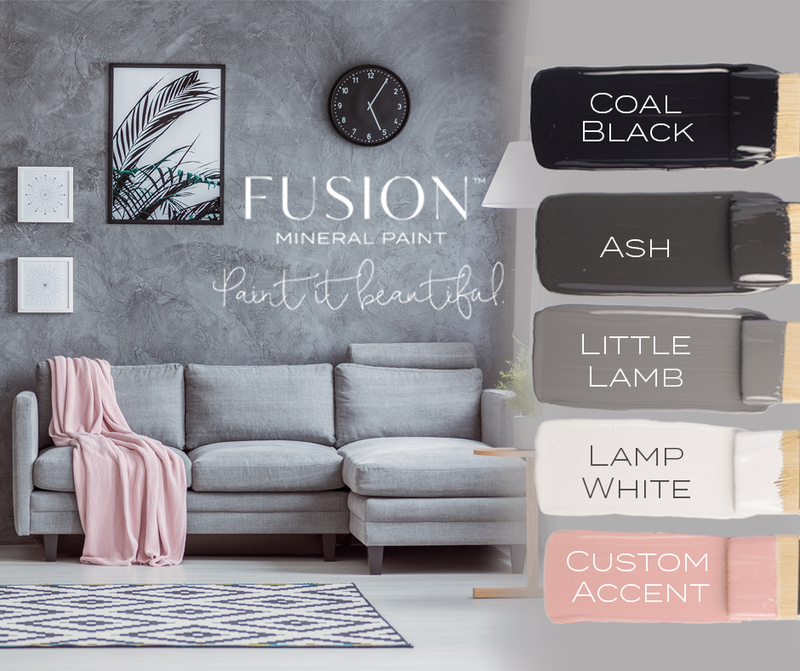 February’s Color Story from Fusion Mineral Paint features a combination of Ash, Coal Black, Lamp White, and Little Lamb, and brings about a lot of possibilities. This palette is essentially all the same color or hue (black/white) with different tones (the grays in between.) By increasing the presence of any of these colors you can change the entire atmosphere of the palette. As a result, you can utilize this neutral palette in any sort of situation: modern or farmhouse; warm or cool; cozy or minimalist. 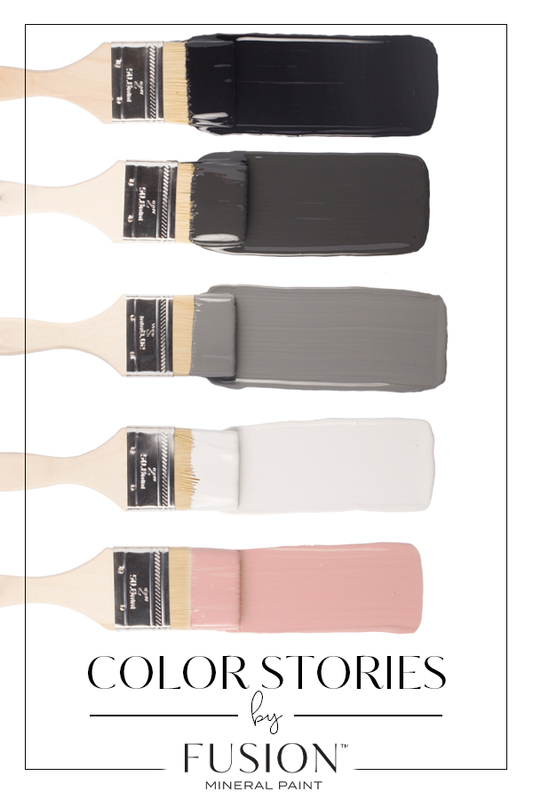 The image featured in February’s Color Story shows you how to create some drama with this palette. It utilizes the various colors in patterned accents. In contrast, the main furniture pieces exist as solid pieces of color. However, this contrast isn’t overwhelming – because the palette is all based on the same hue. Most importantly, the distinguishing feature about this palette is that you can successfully add just about any accent color to it. February’s Color Story is all about allowing you to add your personal favorite accent color that you can feature in items in your home. Think of decor items like throws, pillows, accessories or an area rug, and add that pop of color to your space! Accent colors are so easy to change out when you want to. As a result, they can be a great way to use a fun, trendy color without feeling like you’re committing to it for your whole life. Additionally, they are perfect for your paint projects. Accent colors are great for details in your piece or for added embellishments like knobs or feet. 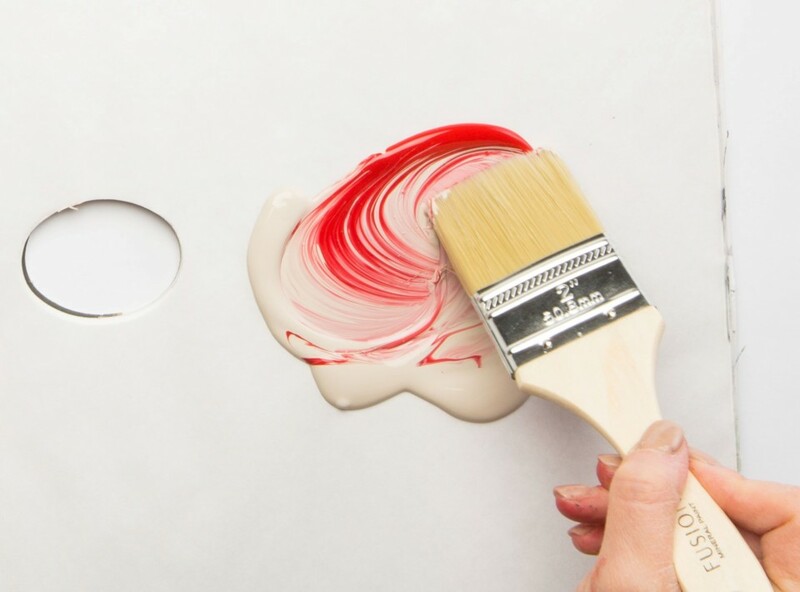 Because these small details can easily be changed out, you can update the look without updating the whole project. 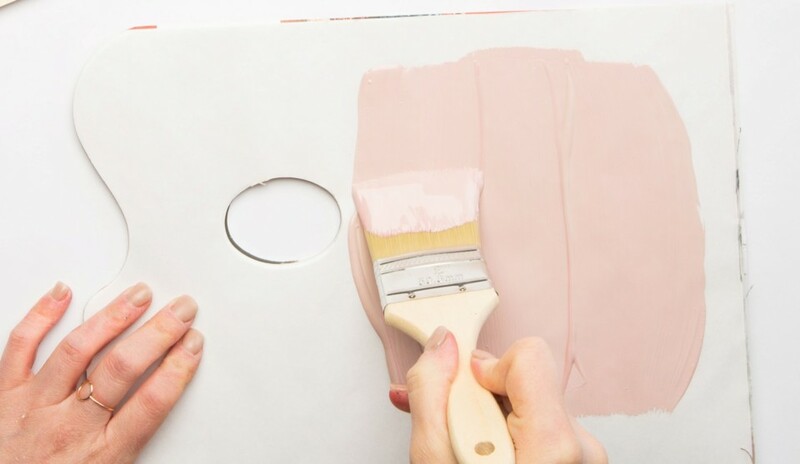 The accent color we chose to feature is a custom blended pink (read on to learn the recipe!) First of all, pink is one of Jennylyn Pringle’s favorite colors! Furthermore, we chose a pink accent because it keeps to the classic Valentine’s theme, with Cupid and heart-shaped everything, so we just had to include it this month! 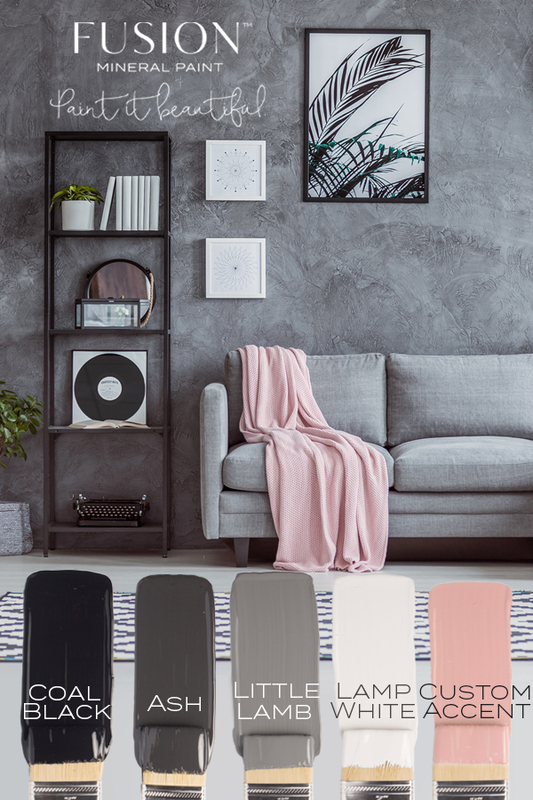 However, if we wanted to use this palette with one of our featured colors from January’s Color Story, all we would have to do is switch out that custom pink for a little Lichen, and voila! A brand new palette. Coal Black: the Little Black Dress of the Fusion paint collection: it can fit into any scene you need it to. We’ve seen some great pairings of Coal Black with our Metallics collection. These pieces scream glitz, glam, and sophistication. An absolute true jet black, it can accentuate any color. This cool tone is bold, classic and mysterious. 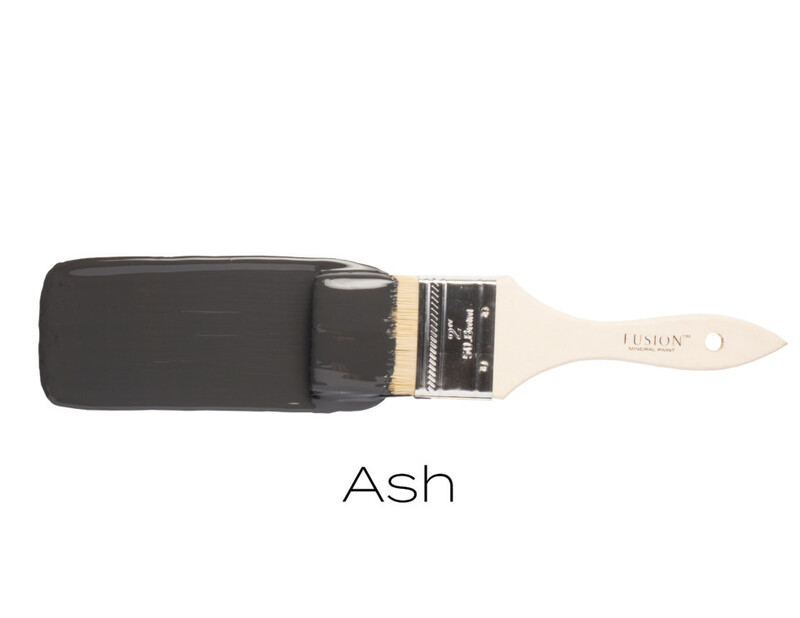 Ash: a soft, yet bold, charcoal grey. An extremely versatile tone that will enliven any space. It’s a great color to choose if you want dark warmth in your space. Many times, on our Paint it Beautiful Facebook group, we’ve seen Ash used for kitchen cabinets. Top it with a coat of Natural Stain and Finishing Oil to make it really sing. Little Lamb: a soft grey from our Tones for Tots collection. This fantastic, elegant, medium-grey shows that the Tones for Tots line isn’t just for nurseries. 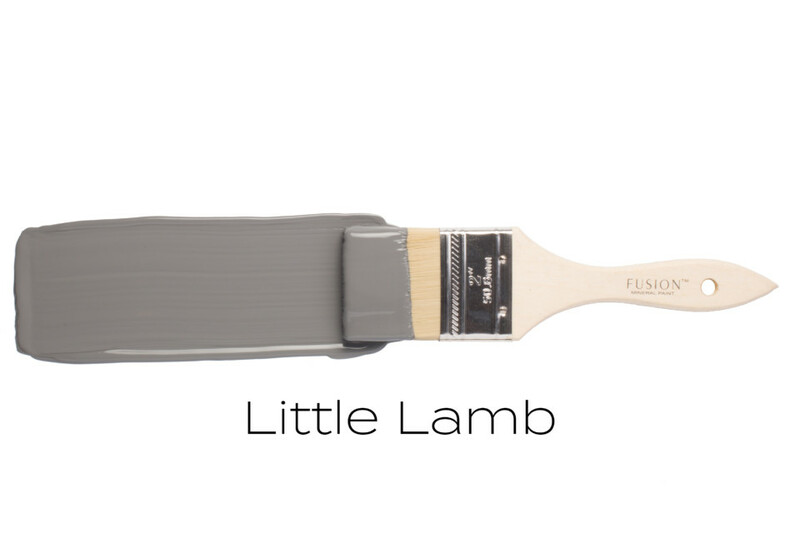 Little Lamb plays well with others – all of the other Fusion colors, in fact. It also works well as an individual and is another very popular color for kitchen cabinets. Lamp White: a cool neutral white with subtle hints of grey. It is bright and bold – but can be warm or crisp depending on its surroundings. 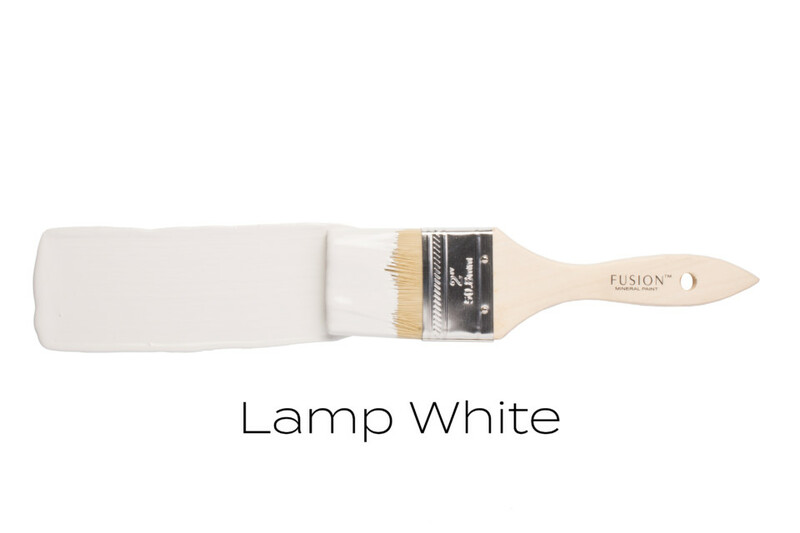 While Lamp White as the name suggests, can be used as a white, it can also be used as a grey due to the undertones. This amazing light neutral gives the opportunity to create a feeling of white, without being pristine and perfect. That little bit of imperfection is what makes Lamp White so special. Finally, our Custom Pink! So, how do you make a custom color with Fusion? More easily than you can imagine! 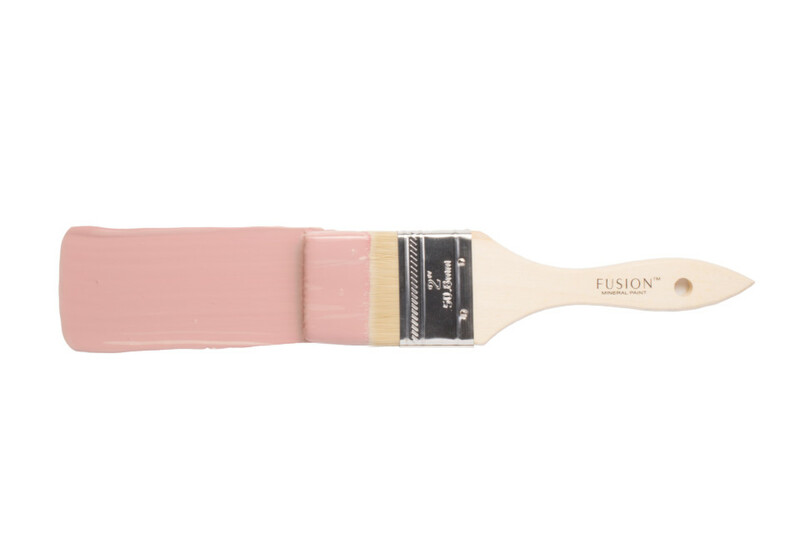 All of our Fusion paints can be mixed together to create endless new colors – just check out the 32 recipes on our colors page! To get the gorgeous pink from February’s Color Story, you’ll want to use 4 parts Cathedral Taupe and 1 part Fort York Red. Just blend those two colors together and it comes out to be a beautiful pink – very warm and just a little bit bright. This pink looks like a hug feels. As a result, it definitely gives February’s Color Story the accent needed to be a perfect fit for this month. Keep your eyes on our blog – we have a special Valentine’s Day craft coming up. Plus – it features this custom pink! 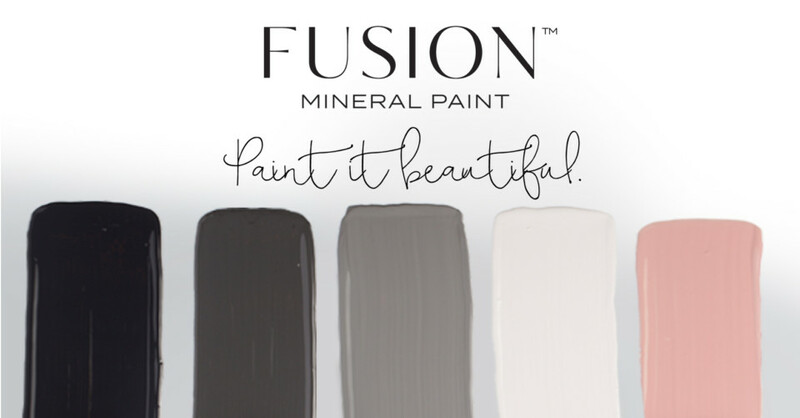 And don’t forget to use the hashtag #PaintItBeautiful and #FusionMineralPaint to share your projects!